The NCAA Tournament Selection Committee gave us a glimpse of what the Big Dance would look like if it started today. 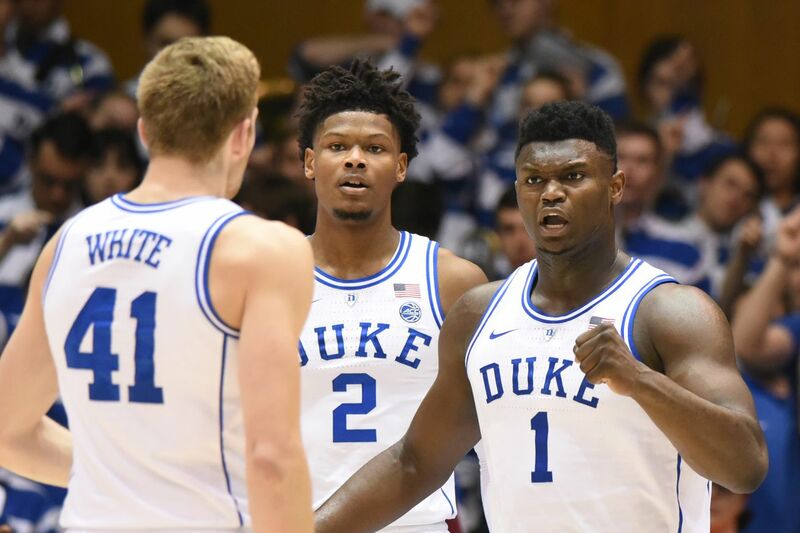 The NCAA Tournament Selection Committee revealed its top 16 current seeds during the annual “NCAA March Madness Bracket Preview Show” on CBS Saturday afternoon, and Duke got the committee’s nod as the No. 1 overall seed. Tennessee, Virginia and Gonzaga joined the Blue Devils on the top line. Tournament selection committee chair Bernard Muir appeared on the show, and explained that the race for the No. 1 overall seed came down to Duke and Tennessee. Muir said that the resumes of the two teams were nearly identical, but that the Blue Devils ultimately got the nod because of their slightly superior strength of schedule. The full field for the 2019 NCAA tournament will be revealed at 6 p.m. on Selection Sunday, which is March 11.